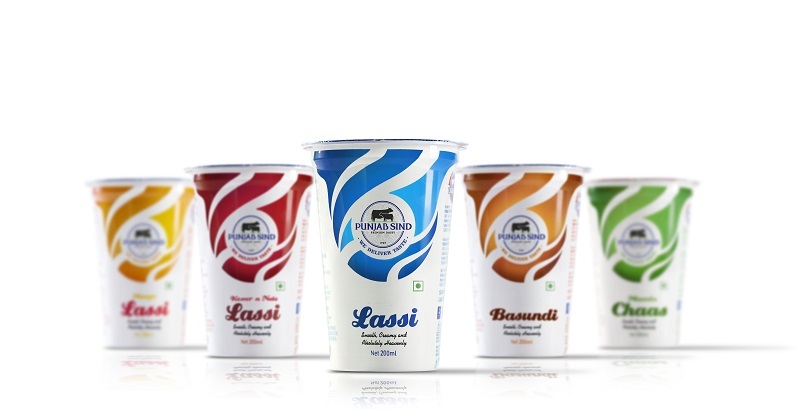 Punjab Sind dairy products received a much needed makeover from our branding and design agency OH! Design Studio. 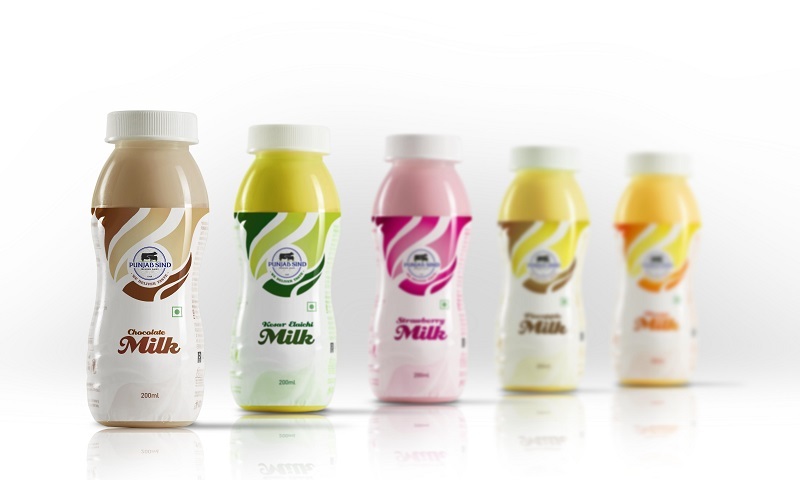 The new look of all the product and sub-category products of this dairy brand is clean, modern and attractive. Packaging redesign helped reinvigorate this brand by giving its packaging more personality and identity. 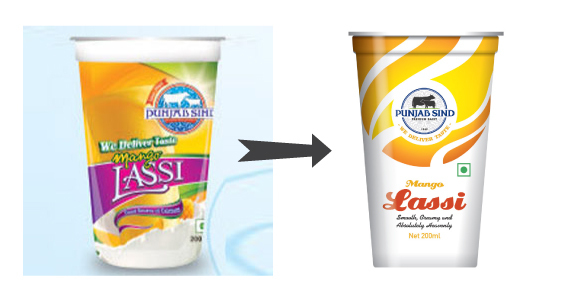 The old packaging design had the conventional dairy imagery along with the image of the product or its main ingredient. One of our packaging redesign objective was to keep it minimalistic. 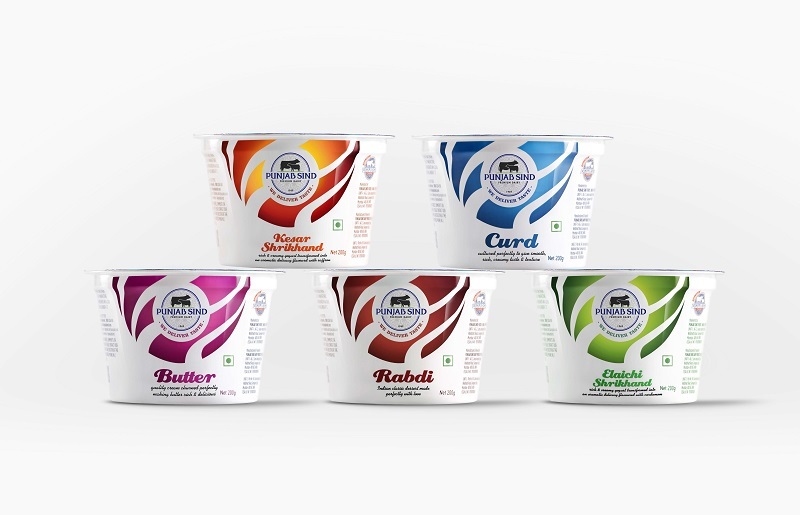 The clean white background on new packaging communicates a sense of purity, colored fluid strokes reflects the nature of its content and the absence of obvious imagery of milk and farm gives the overall packaging a modern look- something that this client intended to leverage for its branding benefits as a part of packaging redesign exercise. The spectrum of colors which we used on these products was unusual for packaging of this category. We created and followed a design architecture for product packaging of all categories and sub categories. Idea was to establish a coherent brand image with a strong recall. The result was a more appealing packaging with great shelf presence in retail space and at home.